While I may not be keen on Valentine’s Day as a holiday, I can’t fault Mark Neuman for the way he expresses his Valentine’s wishes. 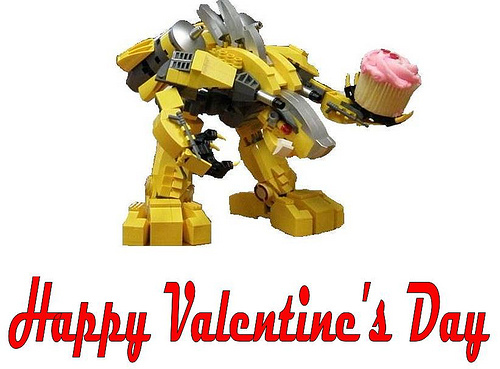 He’s built an adorable mecha/animal robot to offer up a cupcake. I love the expressiveness of the face he’s achieved, and the feet are just adorable. Since I’m 3000 miles away from Mark, I can’t eat the cupcake, so I wish it was made of LEGO too. Mark is in my LUG (SeaLUG). I’ll go eat the cupcake for you, Dan.